Hope for Moseley Road Baths? Many thanks to everyone who signed Moseley Road Baths Action Group’s petition to help save swiming at MRB – well over 2000 signatures now and still rising! We downloaded the petition on 10th June in preparation for a meeting on 27th between Ian Ward and a coalition including National Trust, Historic England, World Monuments Fund, Friends of Moseley Road Baths and Moseley Road Baths Action Group. Earlier that day a proposal will go to Birmingham City Council’s Cabinet for approval to keep the baths open until March 2018 to allow the coalition time to find a way to a way to secure the future of our much loved pool. We’ll find out when we meet with Ian Ward whether or not this proposal has been successful but we’re remaining positive that we’ve made a strong case for keeping swimming at Moseley Road Baths and will let you know as soon as there’s any news. In the meantime, even though we have downloaded the petition, we’re not closing it yet and we welcome more signatures and comments! Action Group progress and how you can help! 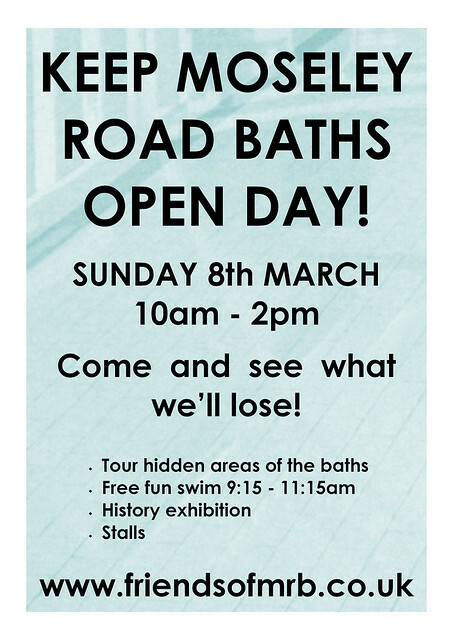 It’s been a while since we were in touch with some of you, but we can tell you a lot has been going on in our efforts to save Moseley Road Baths. 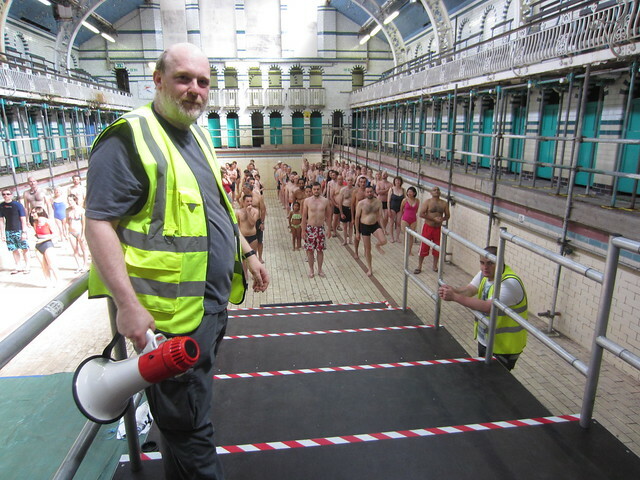 Here is an update from Karen Leach from the Moseley Road Baths Action Group. There is very much a chance that we can be successful in keeping Moseley Road Baths open for swimming and restore the building, but we will need everyone’s help in doing so. After giving you an update of our recent activities, we will outline some of the ways in which you could help and ask you to respond. In spring last year, MRBAG was awarded funds from Historic England to undertake an Options Analysis. We commissioned National Trust and Princes Regeneration Trust to produce this, and the finished version can be found here. This excellent report has pulled together all the information on the huge heritage and community value of the baths, its state of repair, likely renovation costs, examples of other successful pools from across the country and much other useful information. It outlined some indicative options from which we have been developing our preferred options. Meanwhile, the National Trust, Historic England and the World Monuments Fund have all identified Moseley Road Baths as a priority, and have formed a ‘coalition’ to work with Birmingham City Council on potential solutions to the renovation and longer term future of the building. This coalition has now put forward a set of proposals to Birmingham City Council as to how swimming might be continued and the building rescued from its current neglected state. This includes what we need the Council to provide as their contribution to making this work. The Coalition partners, led by the National Trust, will be able to help us access heritage expertise and funding for design, feasibility work and eventual restoration of the building. 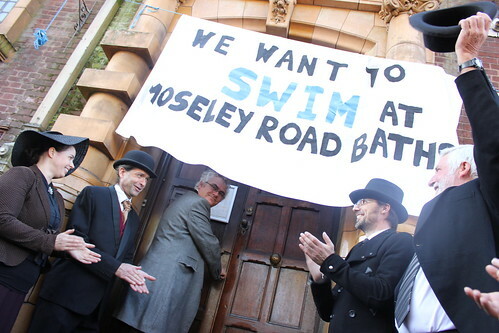 We have formed Moseley Road Baths CIC (community interest company) to take on responsibility for keeping swimming going at some point after the current closure date of June this year. This may involve bringing in a short term non-profit operator initially, then going on to manage the baths ourselves. Either way this will involve some volunteer time. This model is working in many other pools across the country, saving them from closure. We have won further funding and support from the Bright Ideas Fund, and local social enterprise specialist Dave Lane is helping us with this task. We are asking the council’s support for a transitional period while we and they prepare for the handover. All coalition partners including ourselves will continue to seek funding and raise the profile of the baths. Check out the Friends of MRB’s website for further info. Of course in an ideal world, we would want the City Council to continue running and staffing these baths, but it is clear that this cannot happen under current circumstances and this is why our only option for saving the baths is the one we have outlined here. Our long-term vision for Moseley Road Baths is of a lively enterprise with swimming at the heart of the mix of uses for its exciting spaces, and possibly working with the Library to make best use of space. To be successful, Moseley Road Baths will need to draw on its importance nationally and internationally to become a ‘destination’ with wide appeal in Birmingham and beyond, while maintaining its community roots, and respecting and celebrating the heritage of the building. We have been overwhelmed by the messages of support from both our local community and people further afield who either care about heritage or swam here as children or both. So, in order for this to work, we will need local expertise and passion to help govern what happens; volunteer input to manage the pool; local organisations and individuals to commit to keeping on swimming here; and crowdfunding. Any of these ways of helping is fantastic! To help us out, please take this short survey! In the meantime if you do Twitter, Instagram or Facebook, please check out our social media campaign for the rest of February at #keepswimmingmrb and @moseleyrdbaths. We’re showing what support there is for the baths. You can take part by posting a selfie or what you love about the baths, or just retweeting and reposting. And please do come to our next Open Day on 18th March. As a final suggestion, if you do want Moseley Road Baths to be saved, it would be great if you can make sure your local councillors know this, so do be in touch with them by email or phone or in person. We are really excited (if a little daunted!) about the future and look forward to hearing from you. 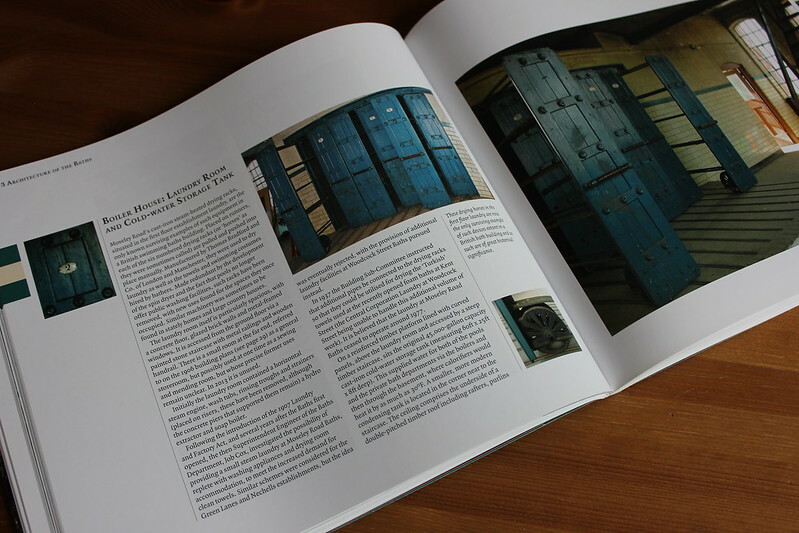 It was announced on 15th October in New York by World Monuments Fund President Bonnie Burnham that Moseley Road Baths has made the WMF’s 2016 World Monuments Watch List. It is one of only two buildings in the UK selected for inclusion on the 2016 World Monuments Watch List. The list is published every two years in order to focus attention on sites of architectural significance around the world that are under threat. The Baths gets a full feature on the WMF’s website, explaining why it was chosen. Supporters fighting to keep the Baths open have welcomed the news as recognition of the architectural importance and social significance of the Edwardian building. 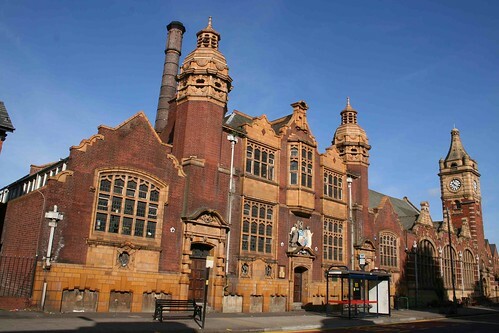 Moseley Road Baths is the oldest of only three Grade II* listed swimming pools in Britain. It was opened in 1907 and the building is believed to contain the only surviving example of a laundry room with its original drying racks. In an age before laundrettes, local people would have used the room and the racks for their clothes washing. The ground floor includes a set of pre-war private slipper baths, said to be unique. There are no other examples remaining of this type of bathing facility that was used by local people until 2004. The cubicles contain cast iron baths, some with ropes still hanging over them to help people get in and out as well as the bell system used to call attendants if bathers were in difficulties. There are two swimming pools, one of which is still in use by local people and schools throughout the week. Both have ornate, cast-iron girders supporting the roofs and the now disused Gala Pool is lined by glazed brick dressing boxes. Only one other pool in Britain still has these; wooden partitions were more common in Victorian and Edwardian periods. 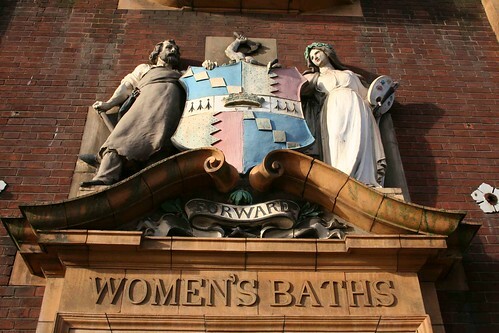 The application for World Monuments Watch listing was submitted by the Friends of Moseley Road Baths (FofMRB). The group has been campaigning to keep the swimming pool open since 2006. Dates for closure of the building have been announced by the owners, Birmingham City Council, on numerous occasions but each time, action has been postponed. FofMRB members have raised the profile of the Baths with a series of arts events and open days while a number of organisations have used the building for filming. An application for Heritage Lottery Fund support was due to be submitted but this had to be abandoned after Birmingham City Council withdrew its support. The building is now expected to close before the end of 2016. 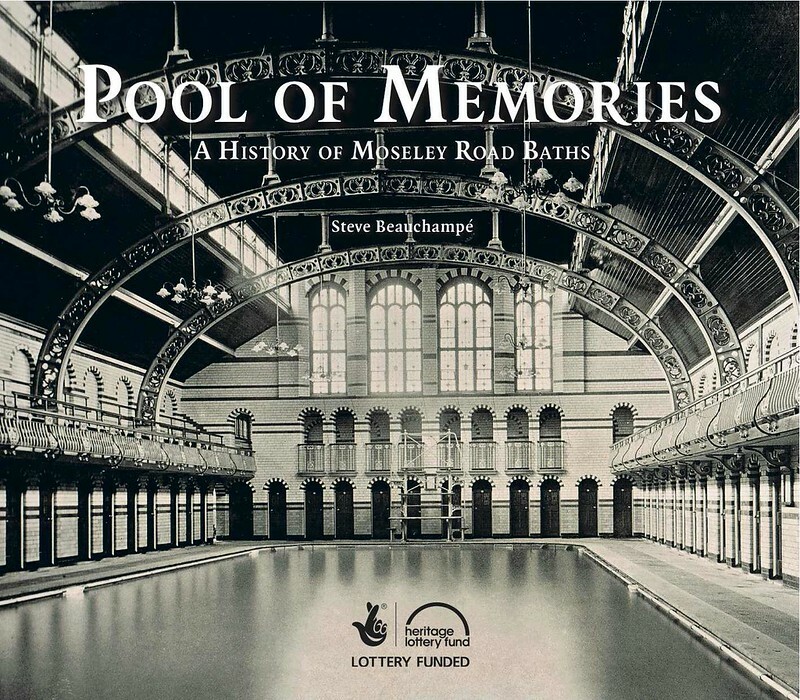 Commenting on the inclusion of Moseley Road Baths on the 2016 World Monuments Watch, Mark Gunton, Treasurer of the Friends of Moseley Road Baths said, ‘Obviously we’re delighted to have been included but we know that this isn’t the solution to the crisis facing Moseley Road Baths. We still have to work hard to get organisations and individuals to commit to saving the building, keeping it open as an active swimming pool and to finding additional activities to make it a viable concern. The great thing about the Watch listing is that it focuses attention on our campaign and hopefully will help to open new doors for us so that we can protect this wonderful part of Birmingham’s history’. The Friends of Moseley Road Baths will be marking the building’s inclusion on the list through a celebratory event on 31st October, which will also mark 108 years since the building first opened its doors to the public. More details will follow soon! In order to raise the profile of the building and in recognition of its unique place in our collective heritage, a World Monuments Fund 2016 Watch application has been submitted for Moseley Road Baths by the Friends of Moseley Road Baths. 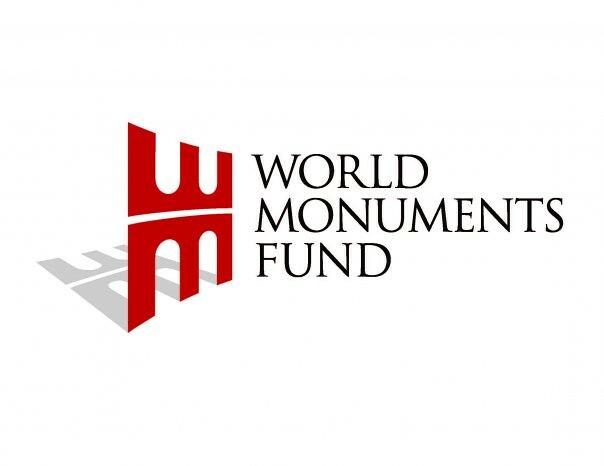 The World Mouments Fund secure the future of exceptional works of architecture through fundraising, conservation management, education, advocacy and partnership building. I live in nearby Kings Heath and can cycle to Moseley Baths as there are cycle stands outside. It’s such a beautiful building and reminds me of learning to swim under light curved ceilings as a child. It has a feel of generations of people bringing in their hearts, souls and minds to be washed clean of their daily concerns and revived ready to face the world again. I’ve just returned from a swim this morning. I started 2013 with the aim to improve my health and stamina while seeking a chance to meditate on daily obstacles to my dreams. I find swimming is the best recommendation for gently easing into enjoyable exercise. I started out with two lengths a few weeks ago and today, despite the snow, I’m back for 10 lengths. I hope to get into a regular pattern of twenty lengths on a Monday using the Be Active scheme which is free to use. The pool side cubicles make it safe and private to change. There’s even one with a baby seat and to accommodate disabilities. The pool is small enough that you can achieve a number of lengths but large enough that you feel you aren’t kidding yourself. The temperature is warm but not tiring there are warm jets from the sides giving pleasant sensations of relaxation as you work on your stroke. The showers are super warm so that you can leave feeling ready for the world and the journey home. Staff are friendly and helpful with knowledge of lots of schemes to get you involved with attending; whether Be Active, Strokes for lessons, ladies/men only, parents, disabilities. Plus, as I needed a rest before cycling home, I popped into the library next door to sit down and read. As it happened I had a chat with another ‘newcomer’ to Birmingham (we have been here several years) about getting to know the local community and making friends. We’d come to the right place as there was a ‘Local History’ corner and shared knowledge of local cafes to grab a bite to eat. I’m surprised that the Baths are seen as ‘history’ of the past. They are making the history of the ‘now’ and the ‘future. The complex is large and beautifully constructed. It would be great to create an urban spa with sections for exercise, learning, bathing and treatments, sauna and steam room. The old city centre Eye Hospital has been refurbished and modernised wonderfully and I could see Moseley Baths taking step in that direction but accessible to the whole community. Recreating the new complex at Harborne but using urban regeneration to bring together the old and the new. What an opportunity and now is the time to invest!